"Albania for the Albanians, Death to the Traitors"
a. Chairman of the High Regency Council. b. ^ Partially recognised state. 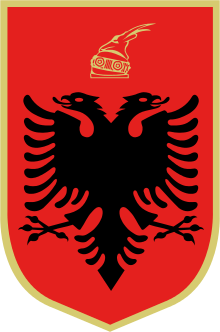 The Albanian Kingdom (Albanian: Mbretëria Shqiptare, German: Königreich Albanien) existed as a de jure independent country, between 1943 and 1944. Before the armistice between Italy and the Allied armed forces on 8 September 1943, Albania had been in a de jure personal union with and was de facto under the control of the Kingdom of Italy. After the armistice and the Italian exit from the Axis, German military forces entered Albania and it came under German influence. The Germans favoured the Balli Kombëtar over King Zog I's Legalists and therefore put Balli Kombëtar in charge of Albania under German rule. Albania under the Balli Kombëtar included most of Kosovo, as well as Western Macedonia, the town of Tutin in Central Serbia and a strip of Eastern Montenegro. It was the policy of the Balli Kombëtar to have all Albanian populated territories under one state. In anticipation of such invasion, the Wehrmacht drew up a series of military plans for action against Italian holdings in the Balkans code-named Konstantin. And for a more direct nature, units of German Military Intelligence (Abwehr) section II were sent to Mitrovica (present day Kosovo) in April 1943 in an attempt to gain some influence among the growing number of Albanians disaffected with the Italians. Even more directly, in July and August 1943, the German army occupied Albanian airports and ports, ostensibly to protect Italian Albania from the possibility of an Allied invasion. By mid-August there were some six thousand German troops in Albania. The first political move made by the Foreign Ministry prior to the invasion was the appointment of Hermann Neubacher, a former mayor of Vienna, as Ribbentrop's special representative for southerneastern Europe. Neubacher, already active in the Balkans as Hitler's representative for economic concerns, would become the key German figure in the balkans during the second half of the war. Although he was not officially assigned Albania as part of his responsibility until 10 September. Apart from the appointment of Neubacher, Major Franz von Scheiger was dispatched to Mitrovica. Scheiger, who had been to Albania before as an officer in the Austro-Hungarian army, was acquainted with many Albanian interwar politicians of influence on a personal basis. The Germans planned to construct an independent neutral Albania controlled by a government friendly to the Germans. 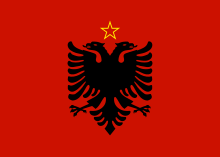 After the Mukje Agreement was broken by the Albanian Partisans, war broke out between the Albanian Partisans (who were backed by the Yugoslav Partisans, who in turn were backed by the Allies and the Balli Kombëtar. 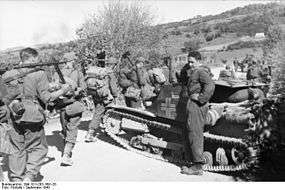 After the capitulation of Italian forces on 8 September 1943, German troops swiftly occupied Albania with two divisions. The Germans formed a 'neutral government' in Tirana with the Balli Kombëtar. The Germans were intent on setting up an autonomous administration and endeavored to persuade Albanian leaders to form a government to take over the administration of the country themselves. Many hesitated, in particular when rumors spread that British forces were preparing to invade Albania. Kosovo Albanian leaders, however, realizing that a German defeat would mean a return to Yugoslav rule, were more willing to cooperate. On 14 September 1943, an Albanian government was then set up under Ibrahim Biçaku of Elbasan, Bedri Pejani and Xhafer Deva of Kosovo. The national assembly, composed of 243 members, began to function on 16 October 1943, electing a four-member High Regency Council (Këshilli i Lartë i Regjencës) to govern the country. The new government, which promised to remain neutral in the war, succeeded in restoring a good deal of stability. The administration and justice systems functioned once again, and Albanian schools were reopened throughout northern and central Albania. Steps were also taken to implement a land reform. On 13 July 1944, Albania attained formal independence under German aegis. Albania had a status similar to that of Croatia and Slovakia, having relative sovereignty under Nazi Germany. Ante Pavelic's Ustashi regime in Croatia extended their recognition to the Albanians. With the Grand Alliance established, the Germans began losing the war. With the current situation favouring the communists, the partisans began a full-scale attack on the Germans and Balli Kombëtar. British Liaison officers in Albania noted that the Communists were using the arms they received to fight fellow Albanians far more than to harass the Germans. The west noted that the Communists could not have won without the supplies and armaments from the British, America and Yugoslavia, and that the LNC were not afraid of murdering their country men. German soldier of the Wehrmacht talking to an Albanian. After the Union with Italy was officially dissolved; many of the laws passed after Italian invasion were revoked, and Albania was declared free, neutral and independent. At the same time, the assembly revoked the draft law of June 1940 that declared Albania to be a co-belligerent with Italy. 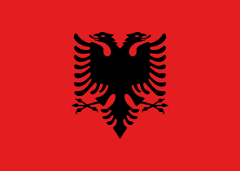 The assembly announced that Albania would be governed by a regency of four- one representative from each of Albania's four major religious communities -for the remainder of the war. The Germans had created a government similar to the one that had ruled after the retreat of Prince Wied in September 1914, demonstrating an appreciation for not only Albanian history but also for Albania's religious makeup. Lef Nosi was chosen as the Orthodox representative. Representing the Sunni Muslims, the Germans were able to attract Fuat Dibra, a landowner from new Albania who, like Nosi, had a long and distinguished record. Unlike the others, Dibra had served in the collaborationist cabinet of Mustafa Kruja, but in November 1942 he had been elected to the central committee of the Balli Kombëtar and was therefore something of a catch for the Germans. Albanian Catholics were represented by the prior of the Franciscans in Shkodër, Father Anton Harapi, who maintained connections with both the Kosovars and the Albanian partisans. Learning of his appointment, partisan emissaries unsuccessfully attempted to dissuade him from accepting. Hermann Neubacher seemed to have developed a warm personal relationship with Harapi, in part because Harapi had received some of his education at the monastery school of Meran and Hall in the Tyrol. Mehdi Frashëri, a Bektashi Muslim, was one of the most respected living Albanians. He agreed to head the Council of Regency. The leadership of the council was originally designed to rotate, but Lef Nosi declined for heath reasons and Anton Harapi argued that as a Catholic monk he could accept no position in which he would be forced to sanction the death penalty. Once committed, the regency moved to form a permanent government, which would begin the process of ending the chaos and stabilizing Albania. 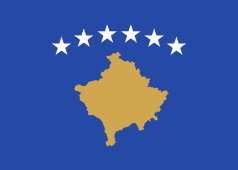 Following hurried negotiations, on 5 November, a government headed by the Kosovar, Rexhep Mitrovica was introduced. The Ballists and German forces pressed hard against the Communists after the neutral government was formed. The Ballists destroyed a fairly large Communist partisan group south-west of Tirana. The partisan force of about 2,000 strong had been annihilated. With other major partisan forces losing, the Albanian Communists tactically retreated, establishing guerrilla warfare to fight the Balli Kombetar. The Ballists, along with the Germans, occupied the region of Chameria (Cham Albanian collaboration with the Axis). In Kosovo and western Macedonia, when it was a part of the independent state of Albania, the German and Ballist forces had occasional skirmishes with Yugoslav partisans. When Maqellarë, midway between Debar and Peshkopi, was recaptured by the Fifth Partisan Brigade, the Germans with the assistance of the Ballist forces of Xhem Hasa launched an attack from Debar, defeating the partisans. Fiqri Dine, Xhem Hasa and Hysni Dema as well as three German Majors directed military campaigns against the Albanian and Yugoslav partisans. The Albanian and Yugoslav partisans were the main threat to Albania, but not the only force. In the Sandzak regions that were part of the independent state of Albanian, Chetnik forces harassed the local populace. 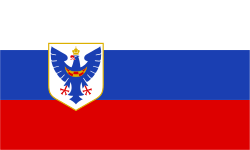 Džemail Koničanin and Ballist forces under Shaban Polluzha successfully repelled Chetnik forces back from Novi Pazar and crushed their stronghold in Banja. To maintain the military occupation in the new German state of Albania, the Wehrmacht and Waffen SS sought to utilise local manpower to maintain law and order, and fight off Yugoslav Partisan and communist Albanian Resistance activity in the region. For their part Albanian leaders hoped to form an "army, which will be able to safeguard the borders of Kosovo and liberate the surrounding regions". Led by German officers, in May 1944, some troops from the division were stationed in the Gjakova area to guard the mines. Xhafer Deva was the Minister of the Interior and therefore the head of the police in the country. Large number of Serbs were killed across Kosovo or deported to camps in Albania starting from 1942. Local Albanian fighters (Ballists) saw an opportunity to take their revenge upon their Serbian neighbours for the suffering they had endured over previous two decades (Massacres of Albanians in the Balkan Wars, Colonisation of Kosovo). The Ballists attacked the Serb colonists, burning perhaps as many as 30,000 houses belonging to Serb and Montenegrin settlers. When the Germans entered Tirana, they had hoped to find enough money in the National Bank of Albania to pay their troops. This was to be considered a loan. But they found only thirty million francs and overhead expenses for the German army in Albania proved to be about forty million francs a month. With some degree of urgency, they turned to the German authorities in Rome, where an SS commando raid had recently captured 120 million francs in notes, the plates, twenty-three sacks of gold coins and twenty-nine cases of gold bars from the main branch of the National Bank of Albania. The gold was sent to Berlin and the notes were sent to Tirana. The substantial sums were immediately transferred to the National Bank of Albania in Tirana. The money was used to pay German troops in Albania and Montenegro. It was also used to finance German construction projects such as buildings, roads, road repairs, airports and coastal gun emplacements. The currency used in Albania was the Albanian Gold Franga. According to Mit'hat Frasheri, the founder of Balli Kombëtar, the Albanian provinces under the Ottoman Empire were unfairly partitioned during World War I among Yugoslavia and Greece. Hitler also viewed Albanians as a vital warrior mountain race and as Aryans of Illyrian heritage. 1 2 3 4 5 6 7 8 9 10 11 12 13 14 15 16 17 18 19 20 21 22 23 24 25 Fischer, Bernd Jürgen (1999). Albania at War, 1939–1945. Purdue University Press. ISBN 1-55753-141-2. ↑ Philip J. Cohen, David Riesman. Serbia's Secret War: Propaganda and the Deceit of History. Texas A&M University Press, 1996 ISBN 978-0-89096-760-7, p. 100. ↑ Nigel Thomas, Peter Abbott. Partisan warfare 1941–45. Osprey Publishing, 1983, ISBN 978-0-85045-513-7, p. 27: "Balli Kombetar, however, preferred German rule to Italian and, believing that only the Germans would allow Kosovo to remain Albanian after the war, began to collaborate.". 1 2 Frances Trix. The Sufi journey of Baba Rexheb. Retrieved 3 August 2011. ↑ Irene Grünbaum, Katherine Morris. Escape Through the Balkans: The Autobiography of Irene Grünbaum. Retrieved 3 August 2011. 1 2 Owen Pearson. 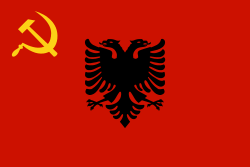 Albania in Occupation and War: From Fascism to Communism 1940–1945. Retrieved 4 August 2011. ↑ Owen Pearson. Albania in the twentieth century: a history, Volume 2. Retrieved 12 August 2011. ↑ Owen Pearson. Albania as dictatorship and democracy: from isolation to the Kosovo War. Retrieved 12 August 2011. ↑ "Nezavisna revija Sandzak". Archived from the original on 26 April 2012. Retrieved 24 November 2011. ↑ Robert Elsie. "Balli Kombëtar: The Ten-Point Programme". Archived from the original on 17 July 2011. Retrieved 17 February 2011. 1 2 Schwandner-Sievers, Stephanie (2010). Albanian Identities: Myth and History. Indiana University Press. ISBN 978-0-253-21570-3. Retrieved 27 June 2012. ↑ Hendrik Willem Van Loon. Van Loon's geography:the story of the world. Retrieved 27 June 2012. ↑ Cyprian Blamires. World fascism: a historical encyclopedia, Volume 1. Retrieved 14 August 2011. Voices on Antisemitism Interview with Johanna Neumann from the United States Holocaust Memorial Museum.